This product is a bundle. 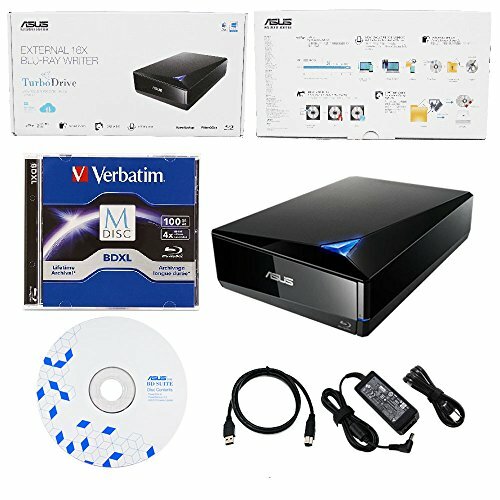 The Asus powerful Blu-ray Drive model number is BW-16D1X-U. The color of this portable rewriter is black and packaged in a retail box. The retail box includes a BD Suite disc, USB 3.0 Cable, Power Adapter and Cord. The bundle includes a 100GB Verbatim M-Disc BDXL. As opposed to light-sensitive organic dye use in standard CD, DVD and less expensive BD (Blu-ray) discs, M-DISC is more stable, less corruptible, and is said to last ten times longer (up to a 1000 years) due to its resilient optical disc format that uses a rock-like non-volatile data layer. 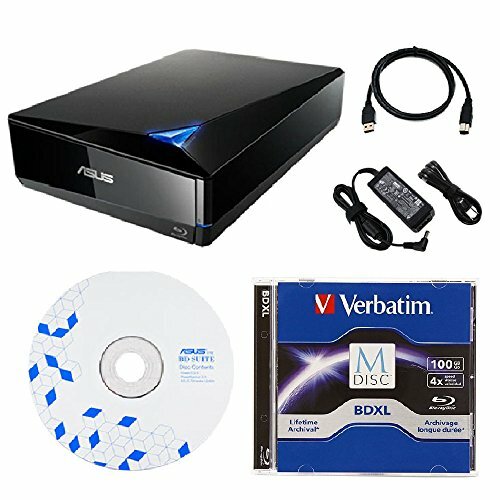 The Asus drive is a powerful Blu-ray disc drive that capable of writing to 16X BD-R format. With USB 3.0, it assures the fastest burning speed, and along with BDXL support that allows the maximum data storage 128 GB in one disc. It provides a complete, easy-to-use backup solution. Intuitive, bundled software called BD Suite simplifies the disc-burning process and offers optional encryption functionality to protect your private files.